For IT News Week 2 Mar 2017. Malaysia Digital Economy Corporation (MDEC) today reported a significant growth for MSC Performance for the year 2016. The results, which reflected the nation’s positive economy growth, recorded new investments of RM16.3 billion of which RM6.43 billion were from new investors; breaking the record for the second year in a row. The reported amount from existing investors stood at RM9.84 billion which is a promising number despite today’s challenging economic landscape. Malaysia saw a steady increase in export sales from MSC companies with an 18 per cent growth from 2015, with a contribution of RM19.1bil. The Creative Content and Technology (CCT) cluster recorded the highest growth in export sales with a contribution of RM1.17bil to the total export sales in 2016. “We are very proud of the achievements last year. Our strategy to lead the Digital Economy is paying off and we have seen a positive, healthy year from MSC-status companies in Malaysia with record new investment and strong investment numbers from new investors” said Dato’ Yasmin Mahmood, Chief Executive Officer, Malaysia Digital Economy Corporation. 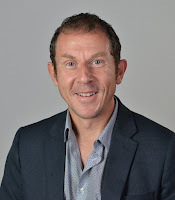 VMware, a global leader in cloud infrastructure and business mobility, today announced the appointment of Bruce Davie to the role of vice president and chief technology officer (CTO) of the VMware Asia Pacific and Japan (APJ) business, effective immediately. As CTO, Davie will lead VMware APJ’s technical community, which includes systems engineers, technical account managers and professional services organization, with a focus on customers’ long-term strategy, technical innovation and product quality. Davie has more than 25 years of leadership and technical experience. He joins VMware’s APJ leadership team from VMware’s global headquarters, where he most recently served as CTO of networking and a principal engineer in the Networking and Security Business Unit. Davie joined VMware through the company’s acquisition of Nicira in 2012, where he was a senior architect. Identiv, Inc. today announced that it has been awarded the sustainable, environmentally responsible ISO 14001:2015 standard and the new quality management ISO 9001:2015. ISO (International Standards Organization) defines parameters for compliance with the highest standards of quality, environmental responsibility, and other characteristics of world-class organizations' operations across their materials, products, processes, and services. In late 2016, Identiv made the strategic decision to upgrade its certified ISO 9001:2008 Quality Management System to the latest ISO 2015 standards and, in addition, to add the current ISO 14001:2015 Environmental Management System for its Singapore RFID and Transponder production site. The Singapore site has been ISO 9000 certified since 2002. The internationally acknowledged ISO 14001 Environmental Management System certification recognizes companies that have adopted environmentally responsible practices in their business processes. 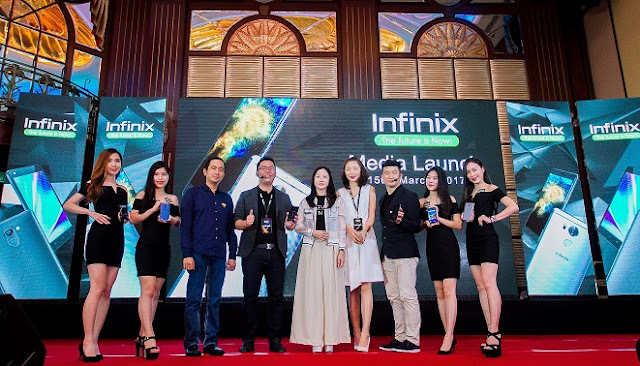 Infinix Mobile, a global smartphone player marks its official entry into Malaysia with today’s launch of its three latest smartphones – the Infinix Zero 4, Infinix Zero 4 Plus and Infinix HOT 4 Pro. The Infinix Zero 4 and Zero 4 Plus combine powerful hardware and innovative software yielding “THE PRO” experience. With the impressive Optical Image Stabilization (OIS) feature from the sharp f/2.0 lens and 6-piece of complex camera lens, it helps to prevent hand shake and low light blurring that often ruin the perfect shot. The Infinix Zero 4 Plus comes with a rear camera capacity of 20.7 MP while the Infinix Zero 4 has a 16MP of rear-camera that gives users the power to shoot amazingly beautiful and high-resolution photos. 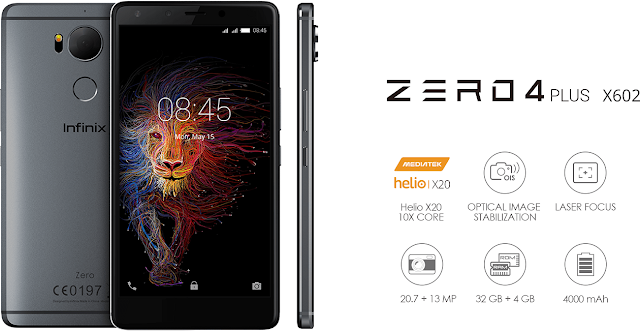 The Infinix Zero 4 has a 5.5-inch touchscreen made with in-plane switching (IPS) LCD panels while the Zero 4 Plus features a slightly bigger 5.98-inch screen. The display is in full HD and supports up to 16 million colors, the screen has a display resolution of 1920 by 1080 pixels, 440 pixels per-square inch and is scratch- and pressure-proof thanks to the curved 2.5D tempered third-generation Corning Gorilla Glass. In summary, Infinix Zero 4 is the perfect device for on-the-go photography and video capture while Infinix Zero 4 Plus give users the power to shoot amazingly detailed photos with speed and accuracy. Pricing at RM999, the Infinix Zero 4 is available in Lilac Grey. The Infinix Zero 4 Plus is available in the same colour with pricing to be announced in early April. The Infinix HOT 4 Pro comes in Lilac Grey, Champagne Gold and Galaxy Blue, retails at RM599. Infinix Mobile is also committed to provide satisfactory aftersales service by providing a one-year warranty for Infinix Zero 4, Infinix Zero 4 Plus and Infinix HOT 4 Pro customers upon purchase date. The Infinix Zero 4 and Infinix Zero 4 Plus customers will get to enjoy a six-month screen warranty that’s redeemable once and a 1-on-1 phone replacement for any customers that face any hardware malfunction within 15 days from date of purchase. Cloudera today unveiled Cloudera Data Science Workbench, a new self-service tool for data science on Cloudera Enterprise which is currently in beta. Data Science Workbench allows data scientists to use their favorite open source languages – including R, Python, and Scala – and libraries on a secure enterprise platform with native Apache Spark and Apache Hadoop integration, to accelerate analytics projects from exploration to production. Use R, Python, or Scala with your favourite libraries and frameworks, directly from a web browser. Directly access data in secure Hadoop clusters with Spark and Impala. Share insights with your whole team for reproducible, collaborative research. Give your data science team the freedom to work how they want, when they want. 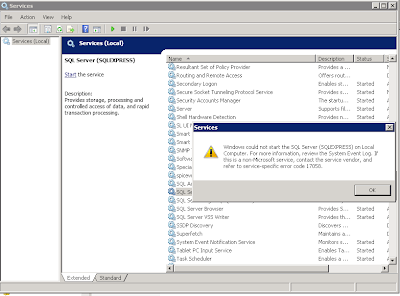 Stay compliant with out-of-the-box support for full Hadoop security, especially Kerberos. Run on-premises or in the cloud, wherever you manage your data. 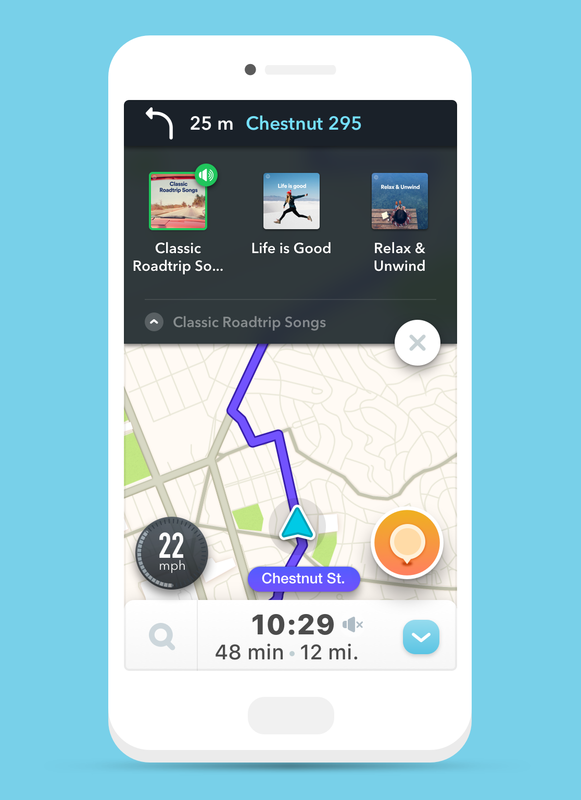 The partnership between Waze and Spotify brings the perfect-in car experience to their users on the road with great music and easy navigating go hand in hand. Waze announced its new feature to allow its users to navigate with Waze within Spotify and access their favourite Spotify playlists from Waze. Once it is all set up, selected music will play automatically when the journey begins. As a measured safety feature, Wazers can browse their playlists when the vehicle is at a complete stop. UEM Group Berhad (UEM Group), Malaysia’s leading engineering-based infrastructure and services conglomerate, today signed an MoU (Memorandum of Understanding) announcing its three-year partnership with Microsoft Malaysia to drive cloud-based digital initiatives. UEM Edgenta Berhad, (UEM Edgenta) Malaysia’s leading Total Asset Solutions entity is among the first UEM Group subsidiaries to adopt the modern technology. UEM Edgenta utilized Microsoft’s advanced tools of Azure IoT Hub and Machine Learning to develop a Smart Facilities Management Solution, which allows it to harness real-time insights and deliver enhanced value to its customers. Dato’ Izzaddin Idris, Group Managing Director/Chief Executive Officer of UEM Group said, “Our partnership with Microsoft complements UEM Group’s RM150 million, 3-year integrated Enterprise Resource Planning Cloud Solution which we announced in October 2016. Greenview Islamic School bagged its first award as it was named ‘The Best In International Islamic Education’ at The Brand Laureate Corporate SME Awards 2016! The school that has grown in notoriety over the years won its first accolade as a result of its unique approach to education, placing equal emphasis on academic education, character development, and spiritual strengthening. (From L-R): Fuziah Omar, Business Development Officer, Greenview Islamic School; Litalana Ramli, Head of Cambridge International Examinations, Greenview Islamic School; Rufina Ross, Foundation Coordinator, Greenview Islamic School; Mohammad Arnim Bin Naim, Business Development Officer, Greenview Islamic School; Dr. Sayyid Hussaid, Vice Principal and Head of Islamiyat; Muhammad Azman bin Tan Sri Hamzah, School Director, Greenview Islamic School; F. S. A. Majeed, Principal, Greenview Islamic School; Nurul Ihsan Atiqah Jamal, Primary Coordinator, Greenview Islamic School; Kasmir Noel Vincent Singh, Head of Mathematics, Greenview Islamic School; Ong Yong Tim, Inspector of Curriculum, Greenview Islamic School; and Hashani Berat, Deputy Head of Islamiyat, Greenview Islamic School; pose with their first accolade at the The Brand Laureate Corporate SME Awards 2016. The school’s growth from just four students and six teachers to reaching almost 500 students in just over five years, with limited promotional and marketing efforts, was possible thanks to its curriculum that focuses on enhancing a student’s ability to critically think, communicate effectively, be creative, and build an excellent character. This approach led to the formation of an extensive network of satisfied parents who endorse the efficacy of the school’s approach and recommend it to others. Financial institutions are under pressure to ramp up security, with trends such as the increased take-up of mobile banking putting banks’ IT infrastructure defenses at growing risk of cyber-attack. Increasingly, customers are playing an important role in highlighting security incidents, with a quarter (24%) of financial institutions saying that some of the threats they faced in 2016 were identified and reported to them by a customer. 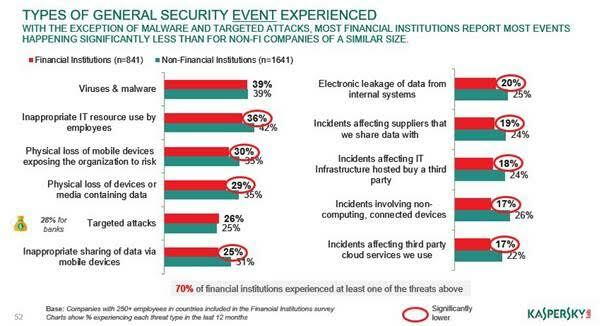 According to the Financial Institutions Security Risks research from Kaspersky Lab and B2B International, security investment is a high priority for banks and financial institutions. Suffering from attacks both on their own infrastructure and on their customers, retail banks spend three times as much on IT security as comparably sized non-financial institutions. Moreover, 64% of banks admit that they will invest in improving their IT security regardless of the return-on-investment, in order to meet the growing demands of government regulators, top management and even their customers. Despite banks putting serious efforts and budgets into safeguarding their perimeters against known and unknown cyber-threats, protecting the breadth of IT infrastructure that now exists – from traditional to specialized, ATMs and Point-of-Sale terminals – has proved difficult. The vast and ever-changing threat landscape, coupled with the challenge of improving the security habits of customers, has provided fraudsters with ever more points of vulnerability to exploit. Mellanox Technologies, Ltd., a leading supplier of high-performance, end-to-end smart interconnect solutions for data center servers and storage systems, announced that it is expanding its presence in Southeast Asia by opening a new office in Kuala Lumpur, Malaysia. Hong Mun Loong, an industry veteran with him over 20 years of local IT industry experience, leads the office as Malaysia Country Manager. Mellanox’s expansion in Malaysia comes at a time when the country is ramping up its digital transformation efforts towards becoming the leading Big Data Analytics (BDA) solutions hub in South East Asia. With already 5,000 companies from 60 nations expanding and investing in Malaysia, Mellanox’s expansion in the country is timely as the new office will provide IT managers and data center users opportunities to enhance their data center performance and efficiency.